How to go to Istanbul? Istanbul; The god and human, nature and art are together in there, they have created such a perfect place that it is valuable to see." Lamartine’s famous poetic line reveals his love for İstanbul, describing the embracing of two continents, with one arm reaching out to Asia and the other to Europe. Known as Constantinople or Byzantium Istanbul is the biggest Turkish city; it was also the Capital of the Ottoman Empire until 1923. Istanbul is now a huge metropolis connecting cultures, continents, religions and being home to twelve million people. Thanks to its atypical geographic position the city is located in the north-west MARMARA which made it the only city in the world which is on two continents. The western position is in Europe while the eastern portion is in Asia and makes Istanbul an amazing cultural place of meeting. The city of Istanbul has growth to be the principal economic pole of the country which confirm it competence in exchanging. This growth has also bring to Istanbul a Modern an dense net of transportation which give the city lot of facilities to come or even to move in town. Thanks to its two international airports Istanbul is now reachable from the entire world. 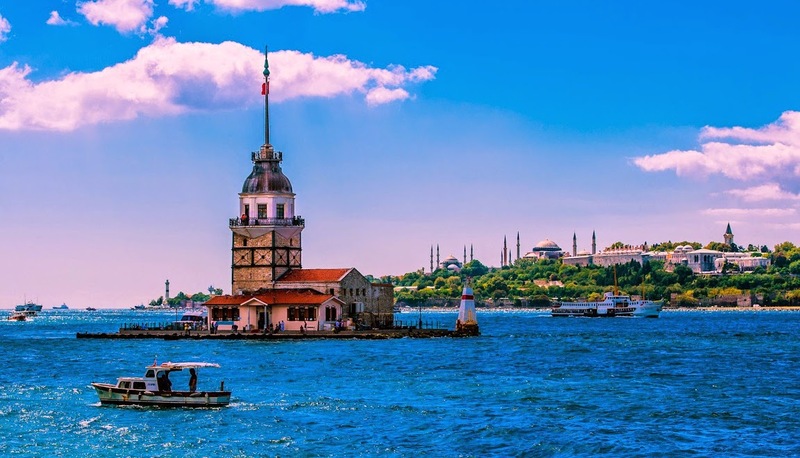 Furthermore the city of Istanbul is a fantastic place to visit famous monuments which are split into the three main district of the city: the historic peninsula, the areas north of the Golden Horn, and the Asian side are parts of it exceptional itsitage from it different empires. The church ‘Hagia Sophia’, ‘the blue mosque’, ‘the palate of Dolmabahçe’, ‘the mosque of Soliman the Magnificent’,’ Valens Aqueduct’, ’The Hippodrome of Constantinople’, ‘The Walls of Constantinople’ and much more are very important tourist places and also strong symbols of Istanbul Identity.